With technology, a device can easily serve multiple purposes. A genuine PlayStation 4 DualShock 4 Wireless Controller cost a tad. It will be slightly unfair on the users not to be able to use it to play his/her games on a windows computer. 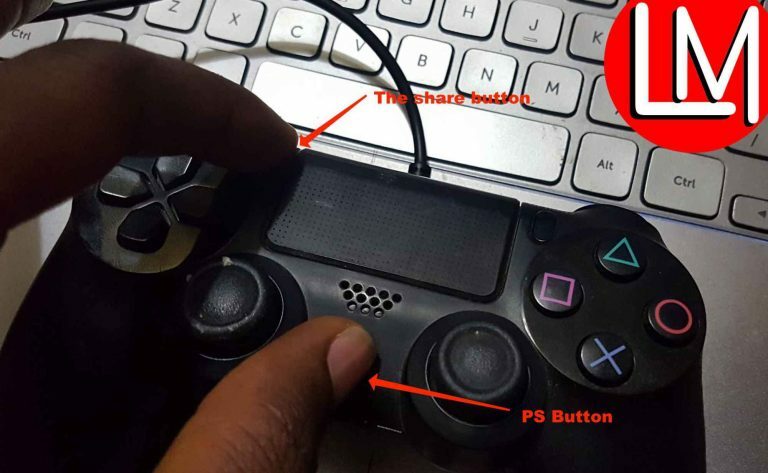 Today,, I will give you are a brief but comprehensive tutorial on Ps4 controller vs Windows computer connection. In other words, you will learn how to connect your PS4 gamepad to your computer to play gamepad supported games on your pc. In addition, this is the first of the two articles that I will be posting on Ps4 controller vs Windows computer connection. The one that will immediately follow this will teach you how to properly map the connected controller to your games. Especially FIFA and Pes. We need some basic requirements to get started with this. I will list all that you will need to pull this through. You need your Windows-based computer and for this purpose of this article, we used a windows 10 computer. In other words, try it on other versions of windows at your risk. 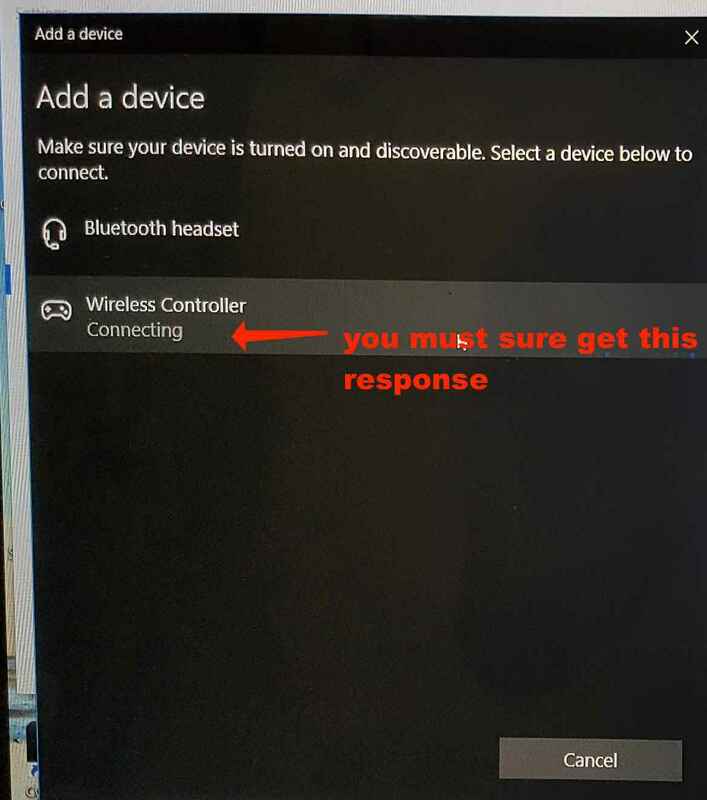 Equally as important is the need for your pc to support a Bluetooth connection. Now, you won’t need to worry if yours doesn’t come with one. You can get a 3rd party Bluetooth adapter from any computer shop near you. Finally, on the list, you need an original PS4 controller. I mean the one that works perfectly with your PS4 without issues. We actually have two software that can help you to get your PlayStation 4 controller connected you your window computer. The first one is DS4Windows.exe. I highly recommend DS4Windows as it works for me better. The second software InputMapper. I will choose DS4Windows.exe over inputmapper because it works better and it is Ads-free. I will only give a full tutorial on DS4Windows while I will be brief with InputMapper. Input mapper is easier to configure anyway. 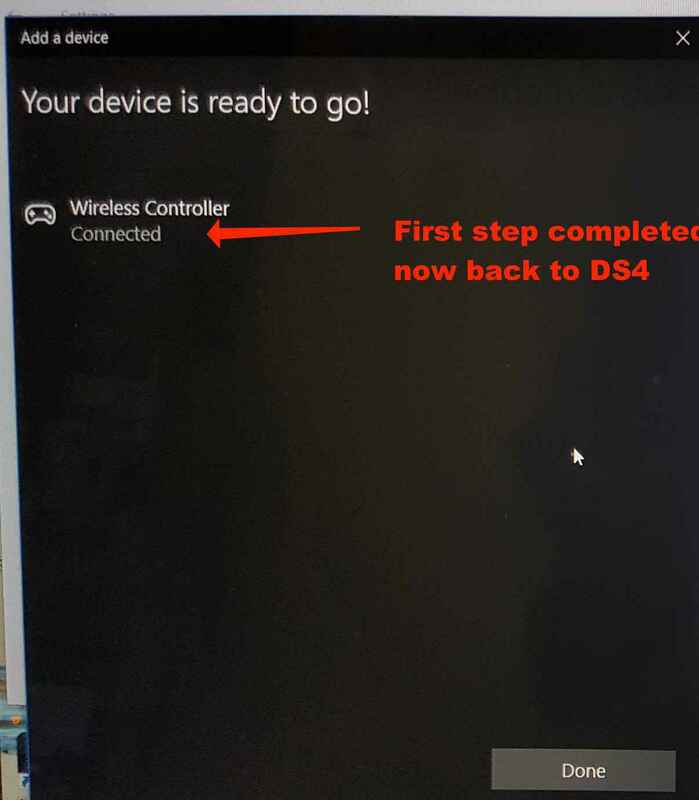 You can connect your PS4 controller to your computer using DS4Windows software either via Bluetooth or via your USB cable. 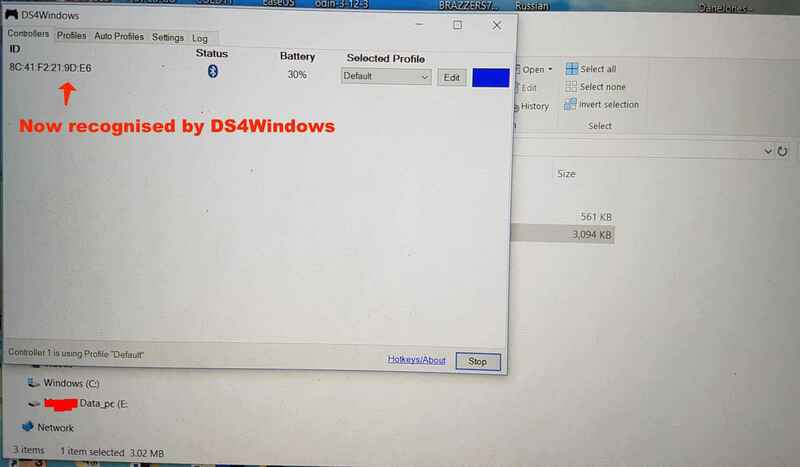 If you decide to use USB cable to connect the PS4 controller, there’s no need to use Bluetooth or to pair your PS4 controller with your PC, just install DS4Windows driver, start DS4Windows app and connect your controller using the USB cable. When you are done installing the driver, click Finish. 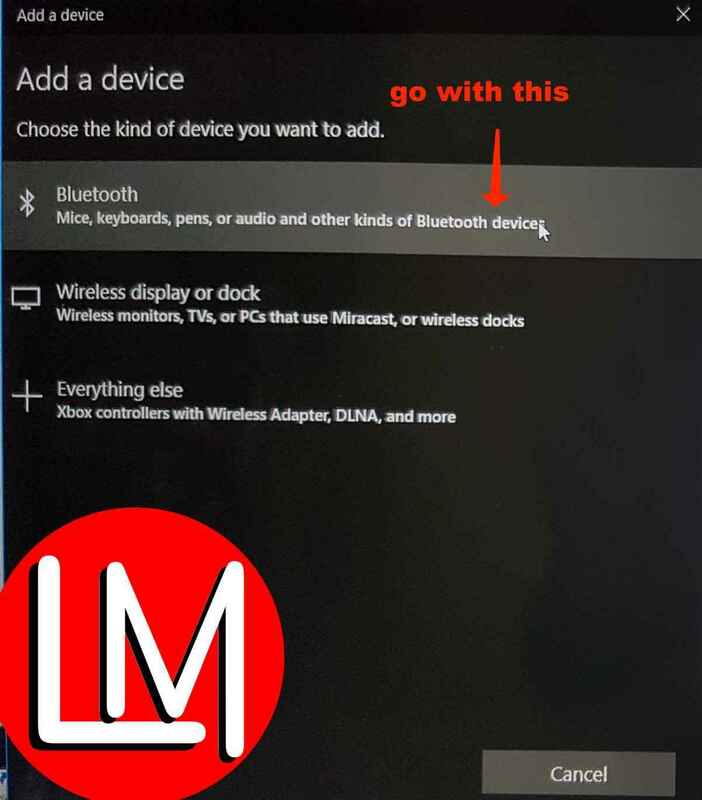 Click on your Bluetooth icon from your taskbar or Open Settings app, go to Devices > Bluetooth. 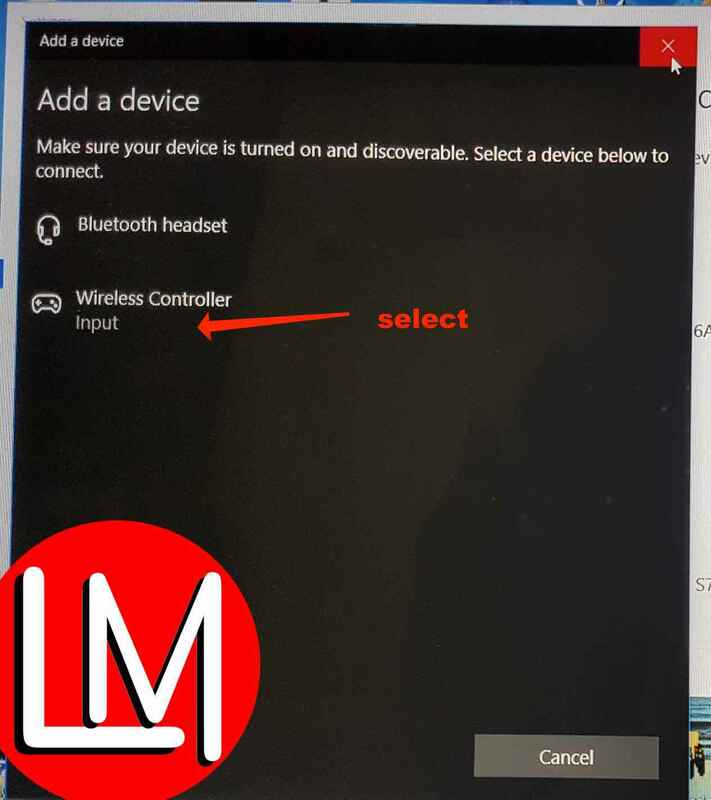 In Bluetooth settings, Wireless Controller should appear. Click it and choose Pair. Next, Open DS4Windows application once again. Your PS4 controller should be fully connected now. Congratulations as you can now minimize DS4Windows and start playing. Open DS4Windows and click Stop. Go to Settings > Devices > Bluetooth and turn Bluetooth on and off. If you wish to reconnect your PS4 controller, just start DS4Windows and press the PS button on your controller. Install InputMapper and connect your PS4 controller using USB cable or by using Bluetooth. 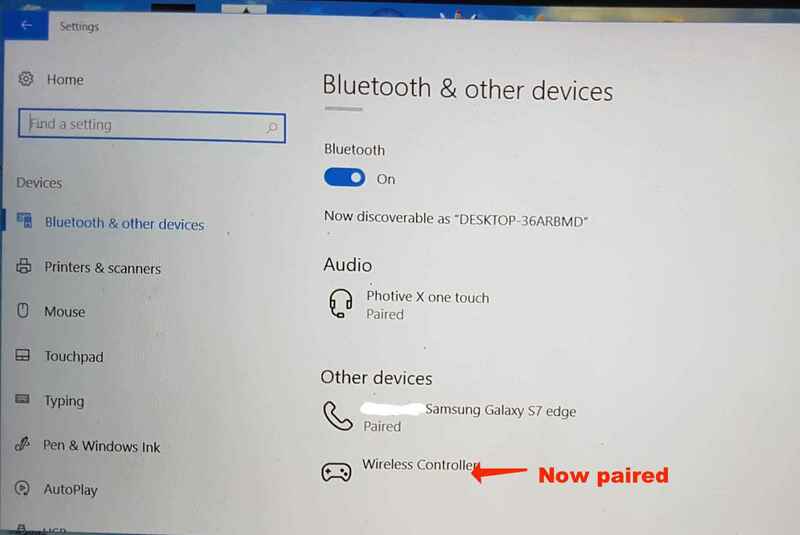 To pair your Windows 10 PC with PS4 controller via Bluetooth, turn on Bluetooth on your PC and hold PS and Share buttons on the controller. Now Open InputMapper and your controller should be recognized and ready to use. Previous Post [Fixed] Samsung Galaxy Note 8 that is reporting only 32gb storage instead of 64gb Next Post Why Sports24 HD is still off after 20 days-What does the future old for Auto roll decoders?